Hi, my name is Victoria Benoit, M.C. 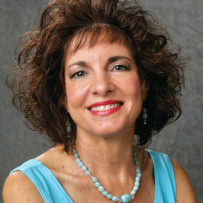 I earned my Master’s Degree in Counseling in 1992. I maintained my board certification as a Licensed Professional Counselor through 2016. Upon this academic foundation and with an overwhelming frustration relative to my clients’ lack of progress—using traditional counseling methods—I became a certified practitioner of Resonance Repatterning®, Soul Memory Discovery™, and Spiritual Healing for Indigos. Countless clients were experiencing extraordinary outcomes. As a result, I was again able to enhance the difference I make in the lives of others. I moved beyond providing individual sessions to include group repatterning sessions as well as developing and facilitating 3-day transformational workshops. While the Center continues to expand, I’ve created yet another way to make an even bigger difference—with even more people—I published my first Amazon #1 bestselling book, What Would Love Do Right Now? A Guide to Living an Extraordinary Life. 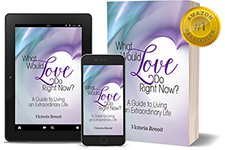 In this step-by-step guide to living an extraordinary life, I share my philosophy about the power of love. In addition, you will learn about forgiveness, making amends, and emotional healing. You will also improve relationships that effect your quality of life today. Plus, experience breakthroughs in family, career, romance, health, finances, and self-expression. What’s more, you will be able to release and heal the pain and suffering from past heartaches, and disappointments. And, let go of failures that undermine your ability to manifest your dreams and live a life you love.